Accuracy, control, and comfort. These are the hallmarks of what draws a gun owner to the Steyr C9-A1. It's the same reason why those who carry it also know you need a great Steyr C9-A1 holster. Its sleek design and precision technology deserve the very best materials and engineering to ensure its ready when you need it. 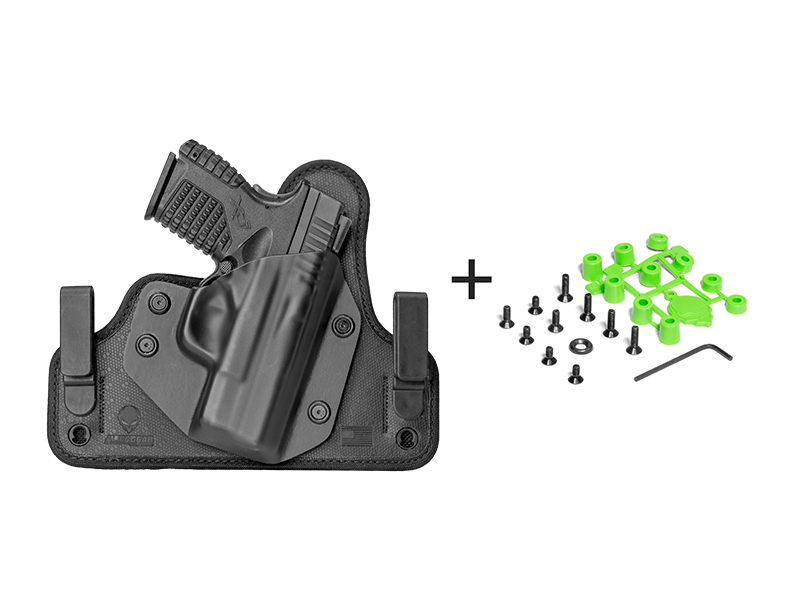 This is what Alien Gear Holsters provides in its line of custom Steyr C9-A1 holsters. 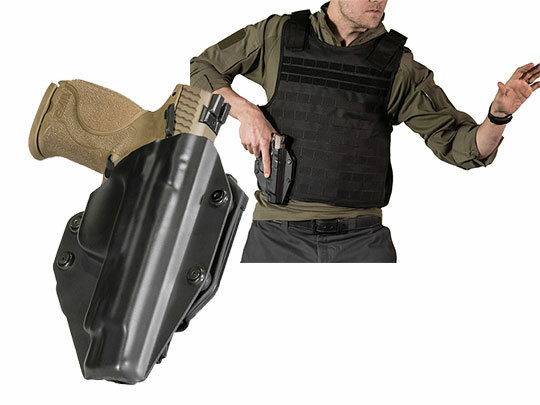 When considering a Steyr C9-A1 concealed carry holster, we recommend the Cloak Tuck 3.0 inside the waistband holster. It's comfortable neoprene backpad gives a soft surface for the compact Steyr to rest within the waistband. Cloak Tuck clips let you tuck in your shirt over the top, so the only person who knows you're carrying is you. 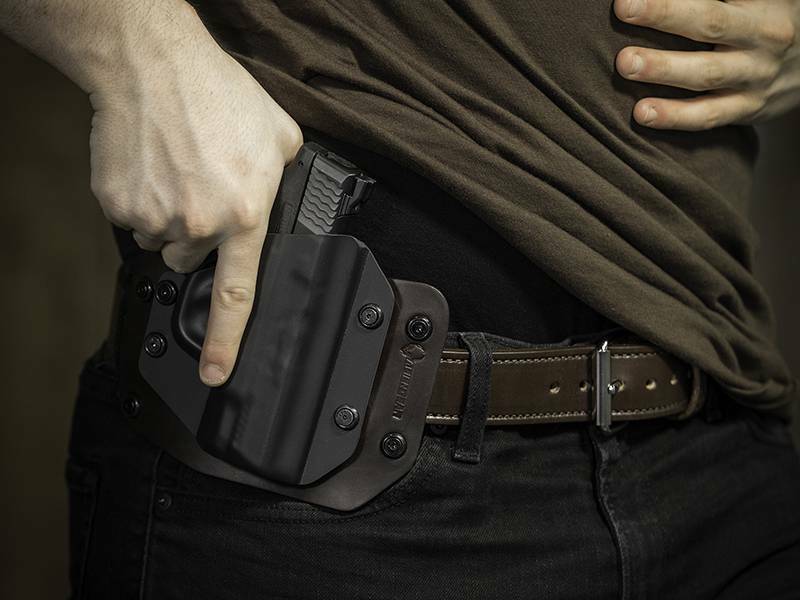 The spring-steel reinforcing plate also makes sure your Steyr C9-A1 concealed carry holster retains excellent retention throughout the life of your holster. Our more classic Cloak Tuck 1.0 offers a resilient English Bridle leather backpad that some customers prefer. The classics never do get old. 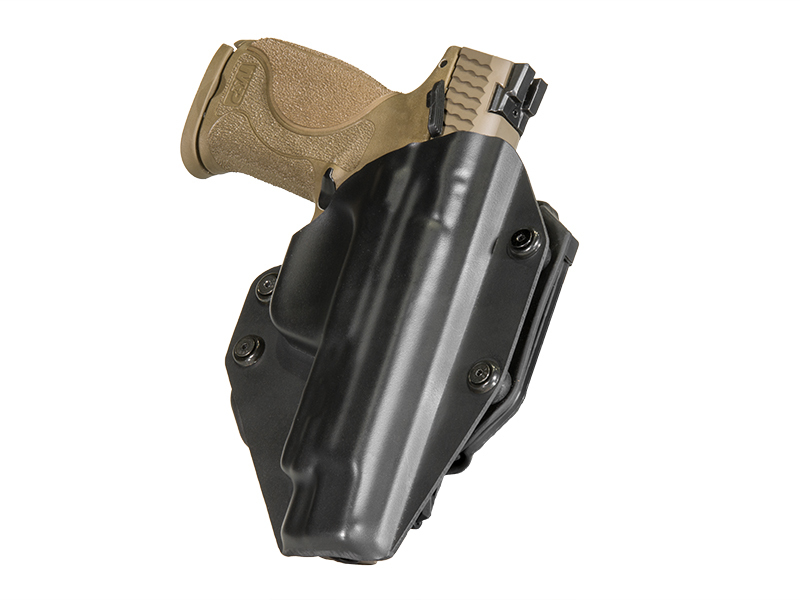 With the Cloak Tuck 1.0 form fitted to a Steyr C9-A1, you're getting the comfort and reliability you've come to expect from your gun in IWB holster as well. For those who prefer to carry outside the waistband, consider our Cloak Slide and Cloak Mod options. 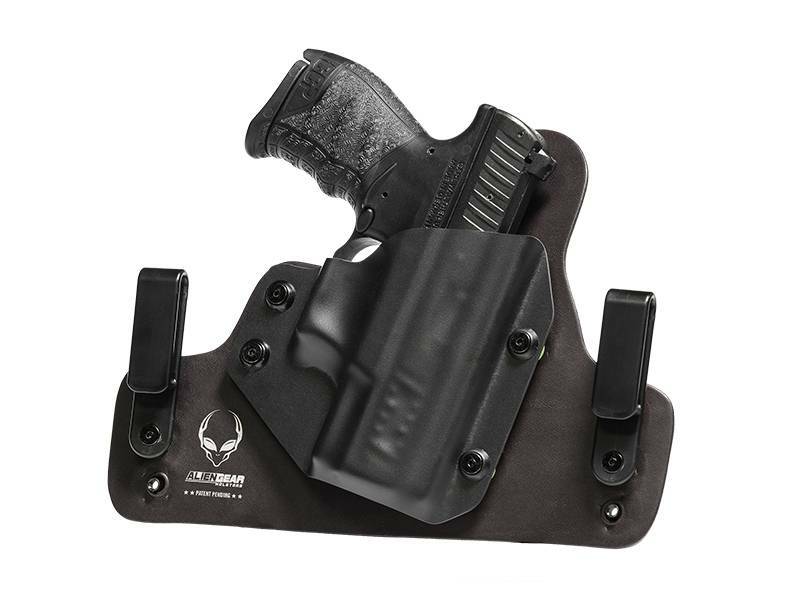 A Steyr C9-A1 OWB holster is an excellent choice for those who like open carry or plan on concealing beneath a jacket. 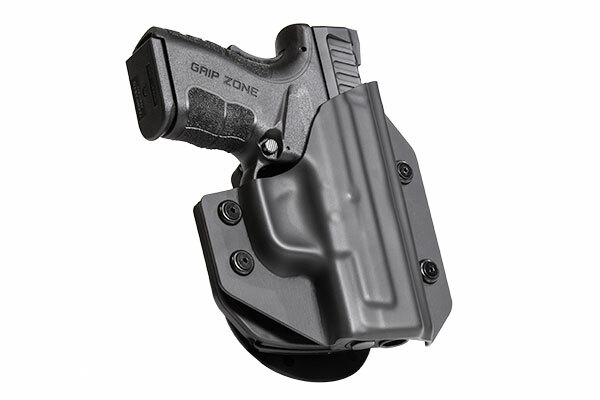 The Cloak Slide OWB attaches by two clips to your gun belt or can be fastened with belt slide clips. Your Steyr's ride height and cant can be adjusted by moving the clips up or down pegs. A new favorite for Steyrs and other compact pistols is the Cloak Mod OWB. 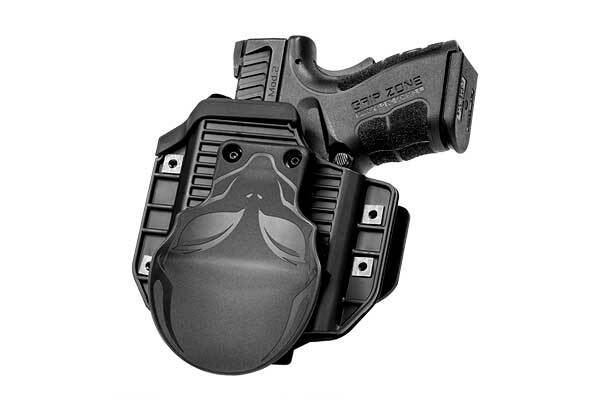 It features a new patented technology which ensures this paddle holster meets and exceeds your expectations for retention, comfort, and security. A Steyr C9-A1 Cloak Mod OWB holster has a form-fitted polymer shell that allows you to adjust for just the right retention and gives a reassuring 'snap' when you draw your Steyr pistol from it. As with all our holsters, Alien Gear Holsters backs their products with a lifetime guarantee and a 30-day money-back promise. If you wear your Steyr C9-A1 gun holster for 30 days and aren't completely satisfied, just return it and we'll refund your money. More over, if you decide to change to a different pistol, we offer free shell swaps for the life of the holster. All our shells are interchangeable with other holsters we manufacture, so feel free to explore different options for how you want to carry your Steyr C9-A1 as your everyday carry option.